Resealing your ceramic tiles and grout is an important maintenance step to keeping your tile surfaces looking like new. Grout especially is porous, therefore very susceptible to discoloration, stain, and a place for mold and mildew to grow. 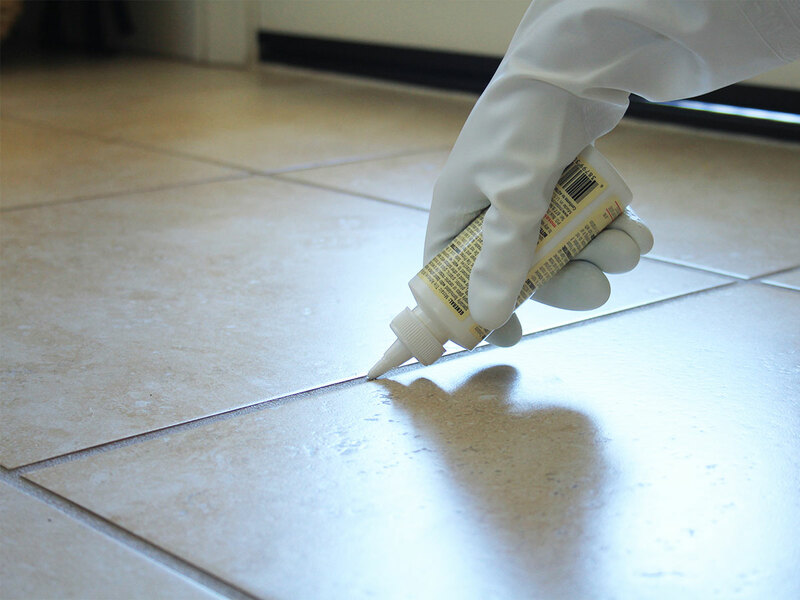 Find the appropriate sealer and apply it to your tiles and grout lines to keep things look fresh and like new. Make sure your grout lines are clean and dry before beginning the sealing process. You will need to buy a penetrating sealer and follow the instructions. Another item that makes this job easier is to buy a grout sealing plastic bottle. It is essentially a spray type bottle with a roller on the tip that allows you to roll the sealer on. Fill the bottle with the sealer. Using the roller bottle, roll on top of the grout lines to seal them. Here is a video from Expert Village on how it gets done.